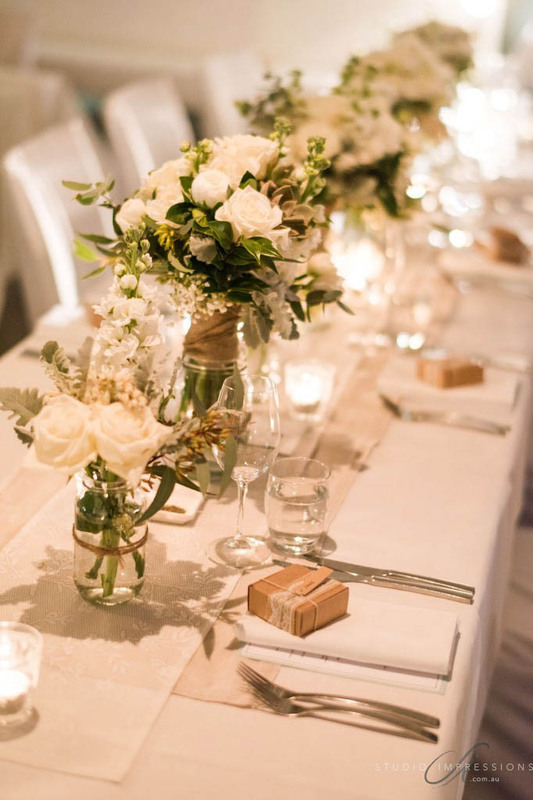 The Noosa wedding concept we created for Becky and Aiden featured uber chic florals in cool whites with accents of dove grey, sage and green, the floral features also saw an introduction of rustic earthy textures with succulents, burlap, twine and vines being introduced. 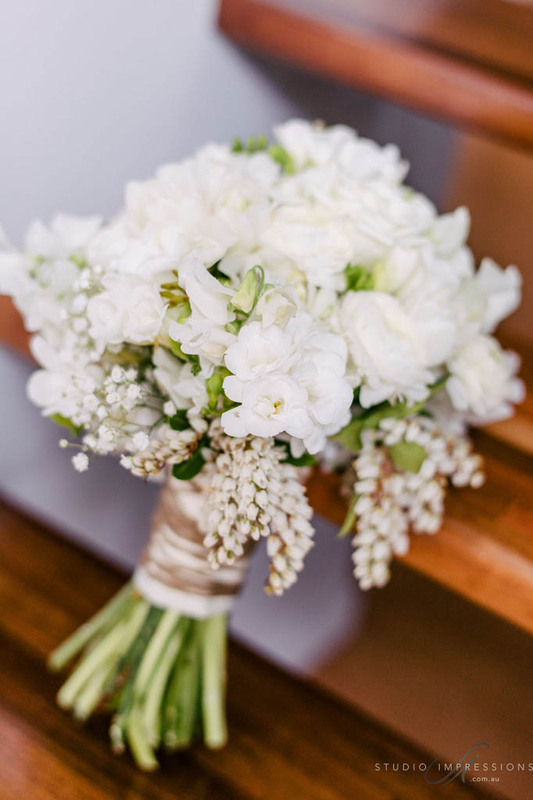 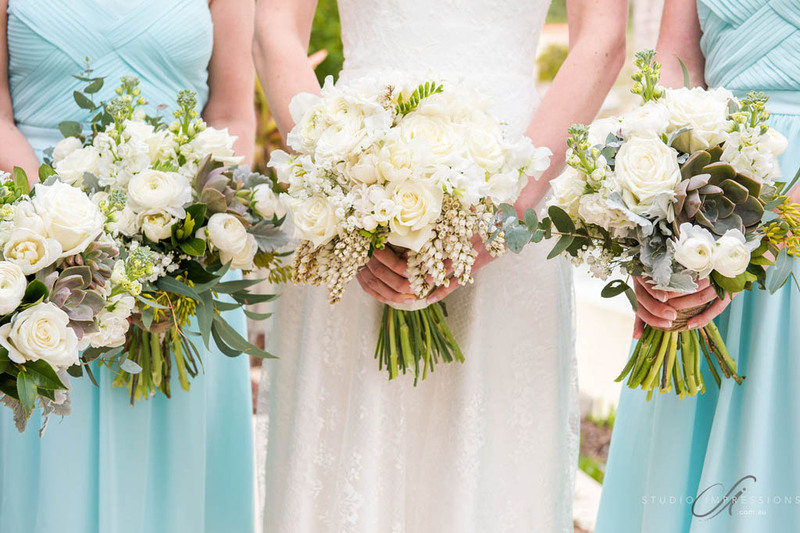 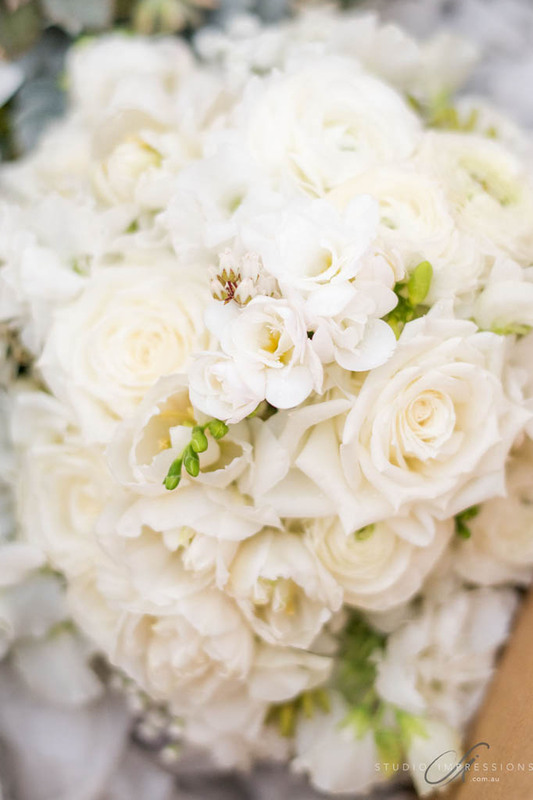 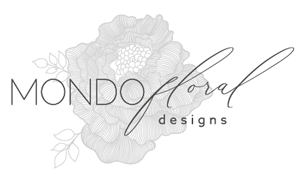 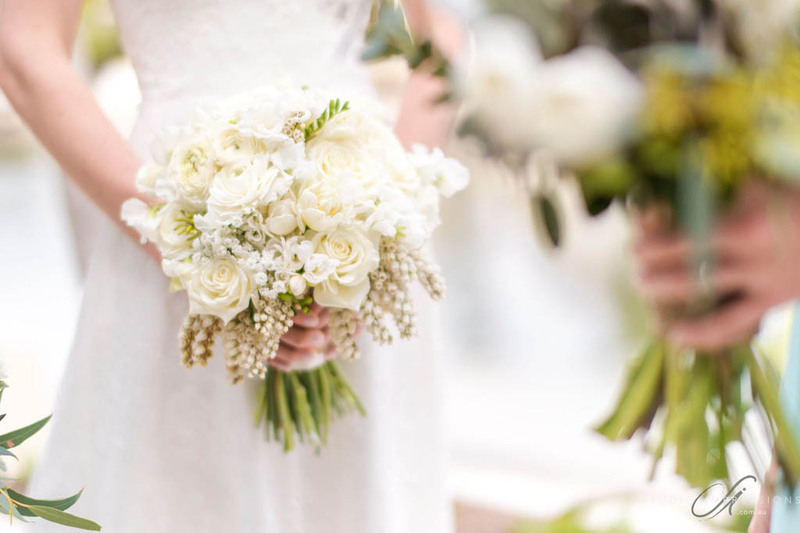 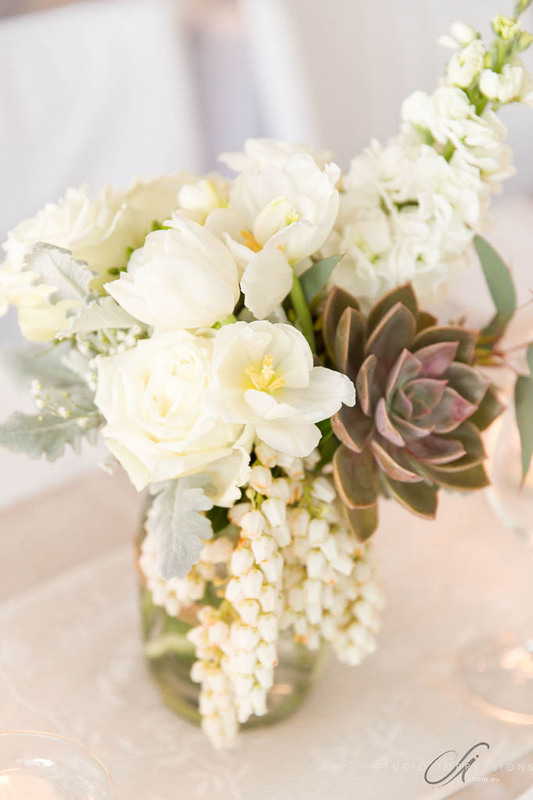 Spring blooms including sweet pea, double tulips, ranunculas, freesias, stock, and lisianthus were showcased through the beautiful designs, baby’s breath, silver gum, dusty miller, andromeda and mini succulents provided sweet textural additions to the bouquets, ceremony and reception designs. 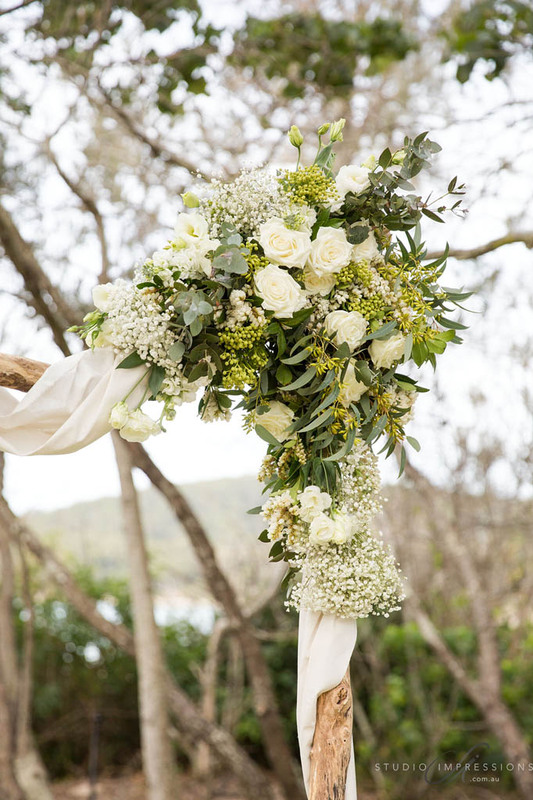 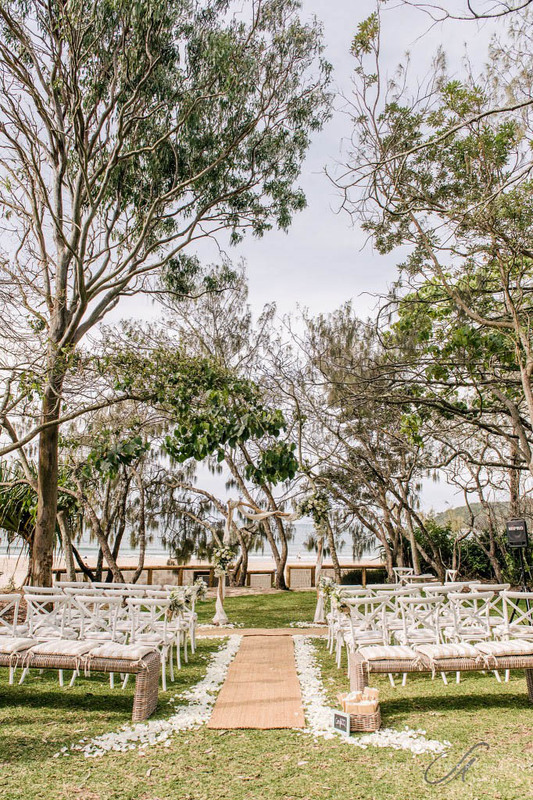 We worked with our lovely friends from Love Bird Weddings on this beautiful wedding, and our ceremony set-up featured a rustic unstructured styled floral feature that we created on an organic branch inspired timber canopy by the beach. 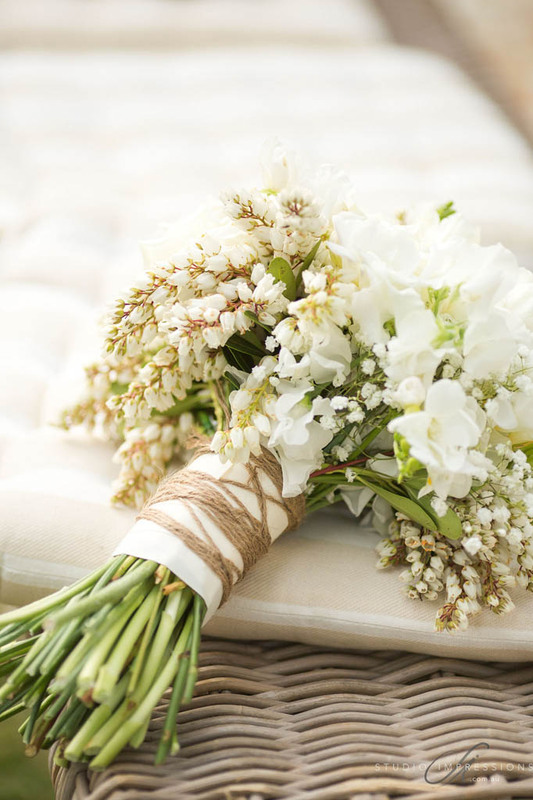 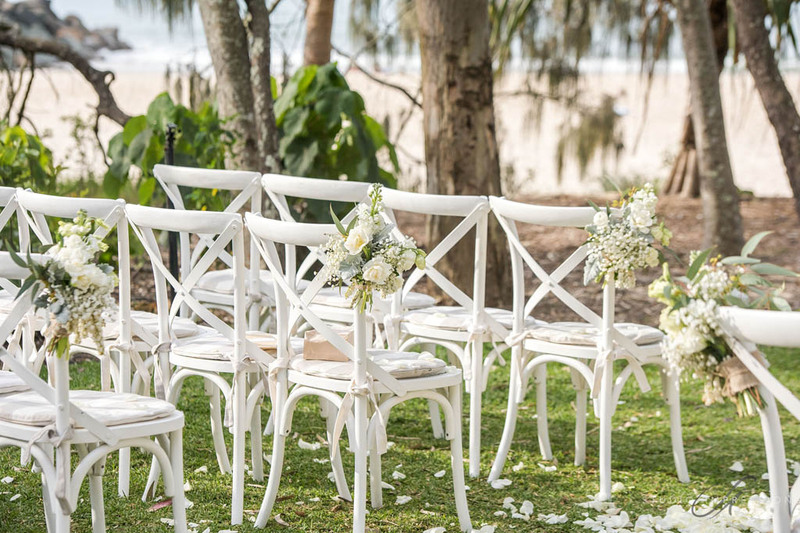 Pretty chair posies also featured on the white chairs and the rattan bench beach seats were the perfect finish to this beach celebration. 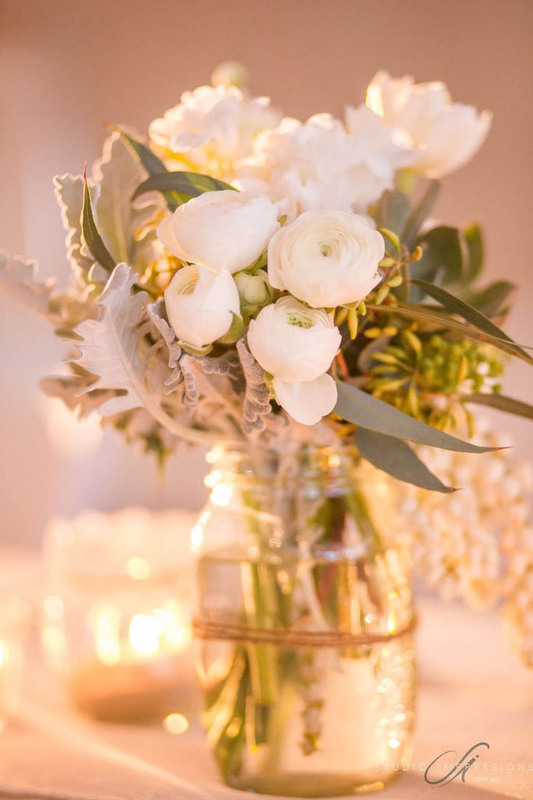 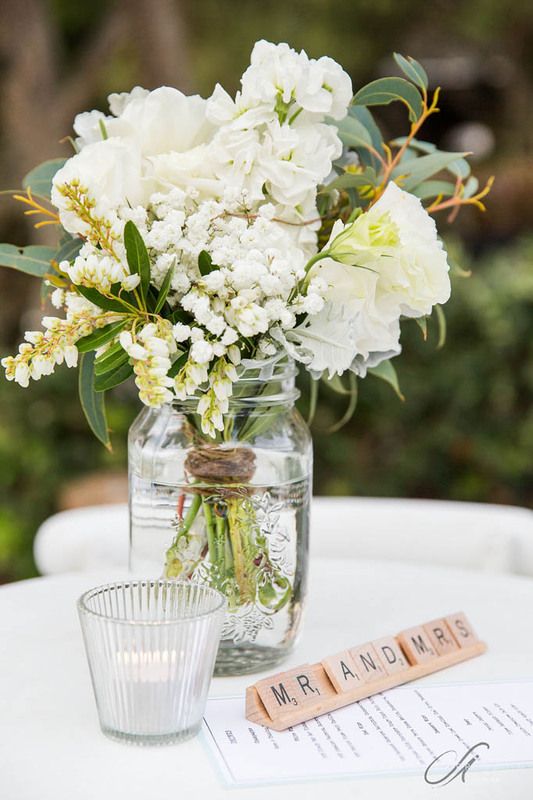 The reception was held at Sails Restaurant and featured mis-matched jars with an eclectic mix of all of the blooms featured in the concept. 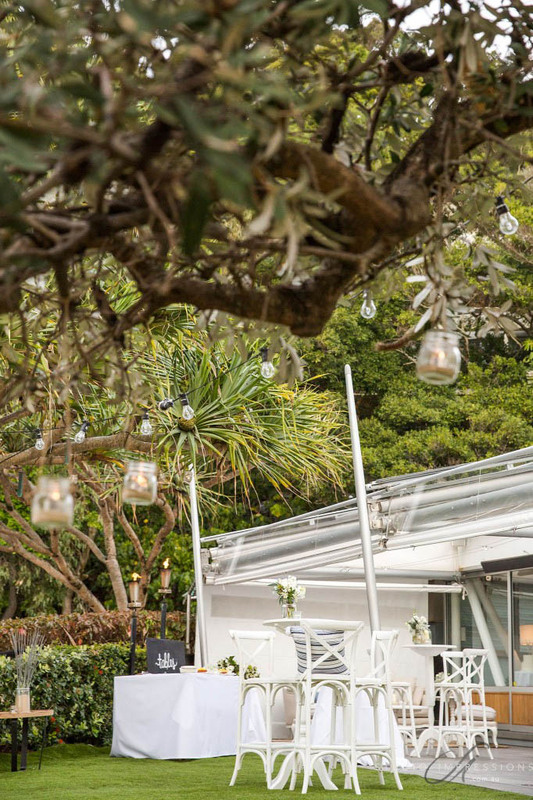 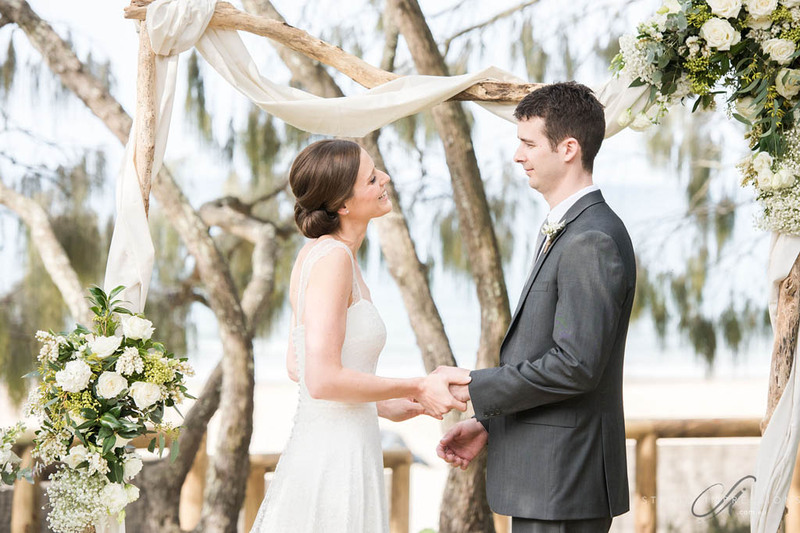 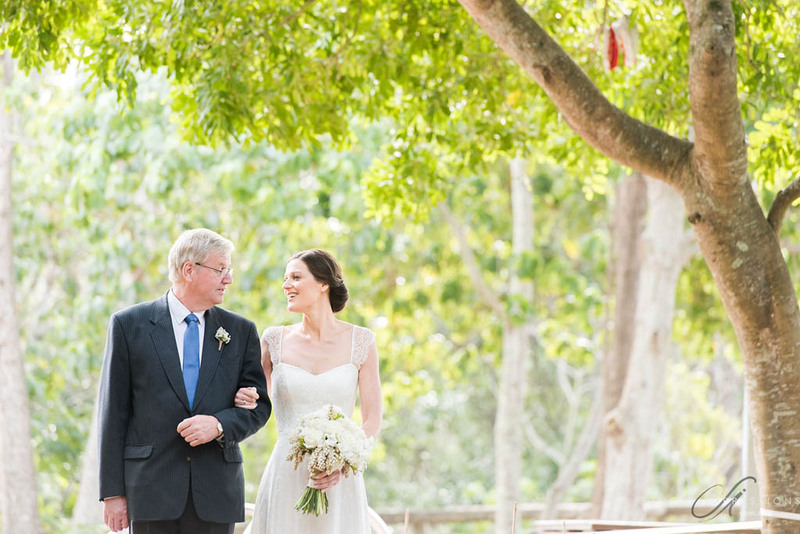 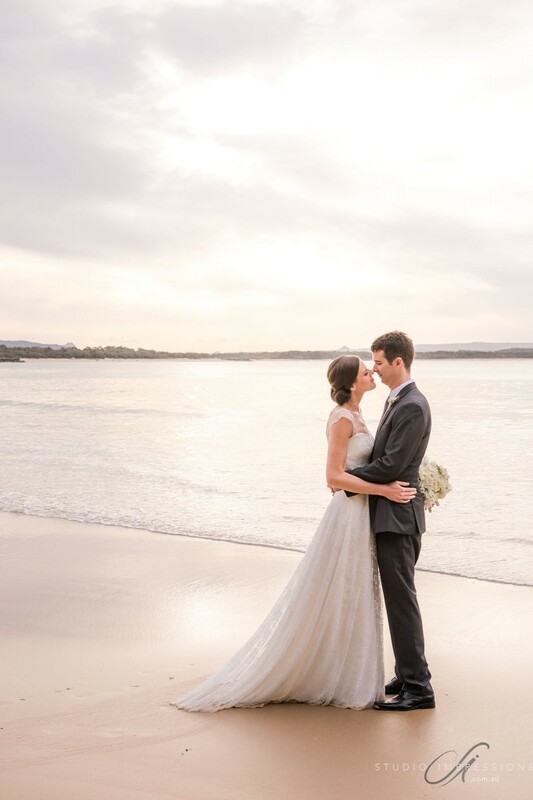 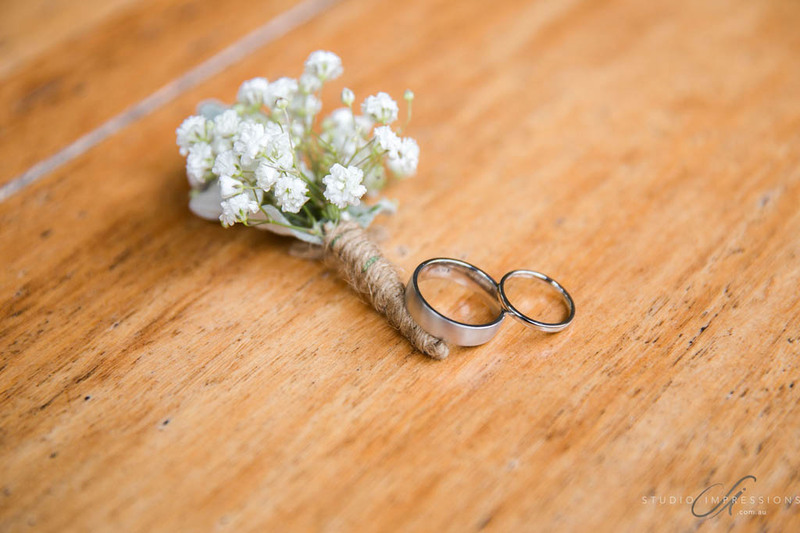 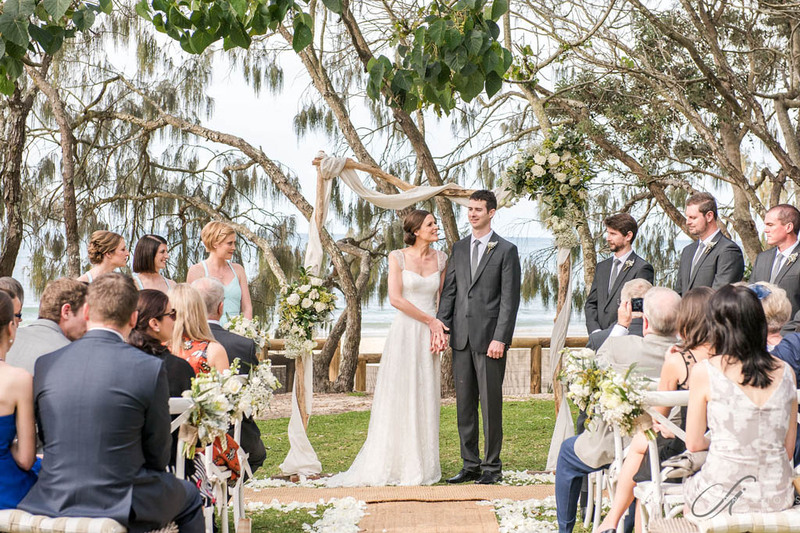 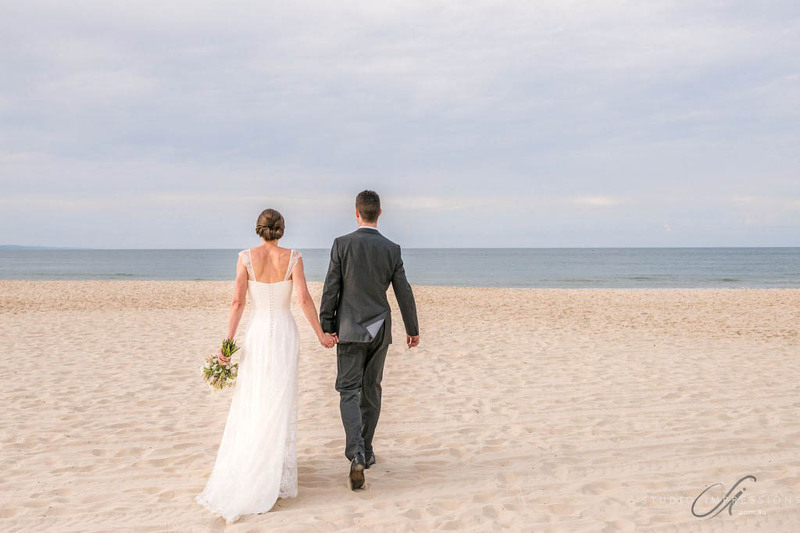 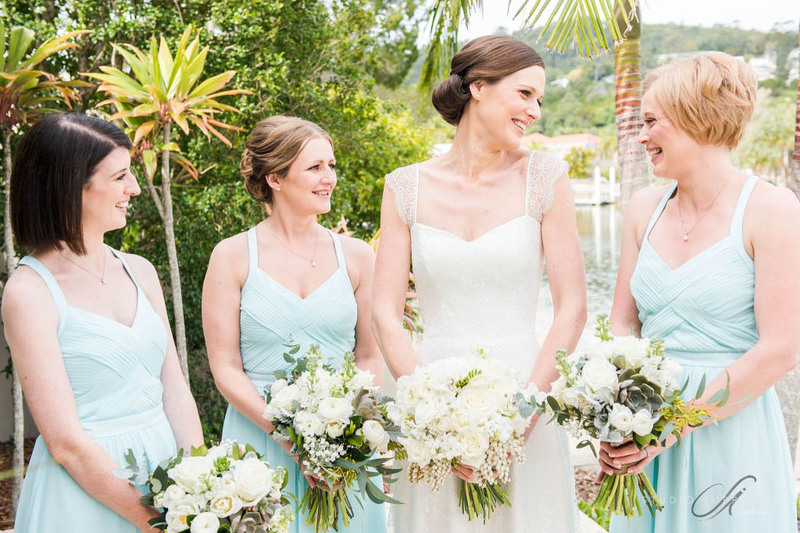 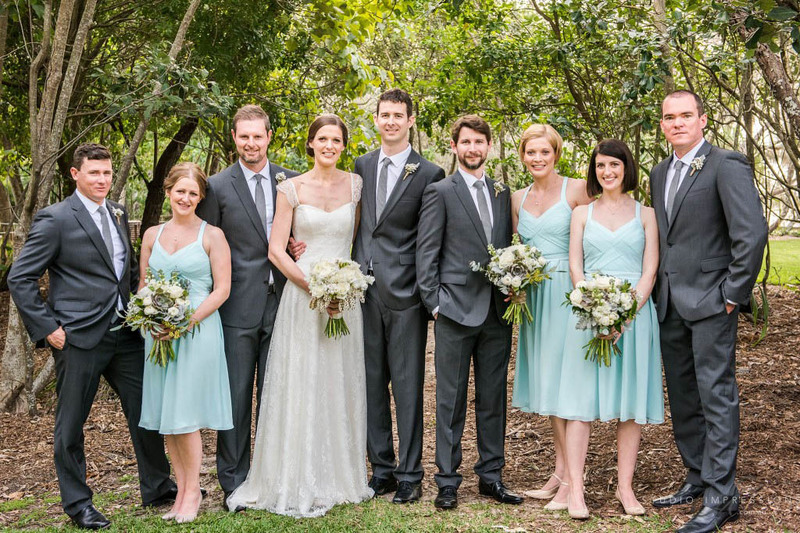 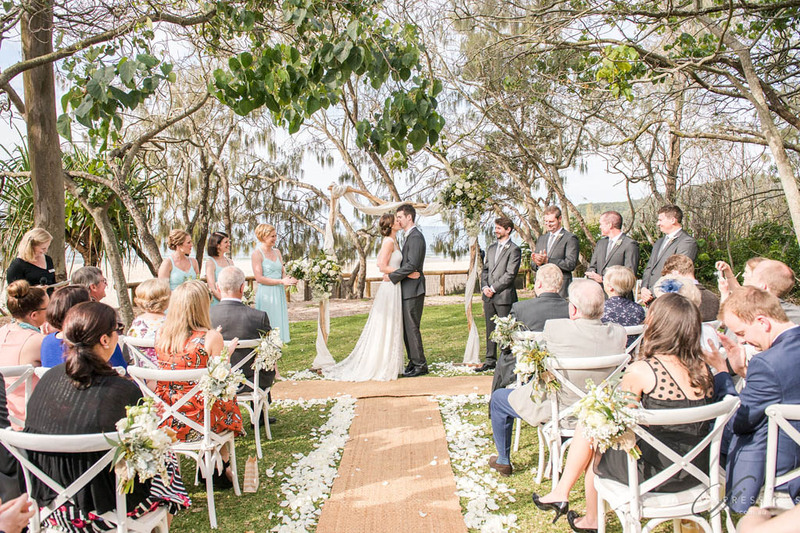 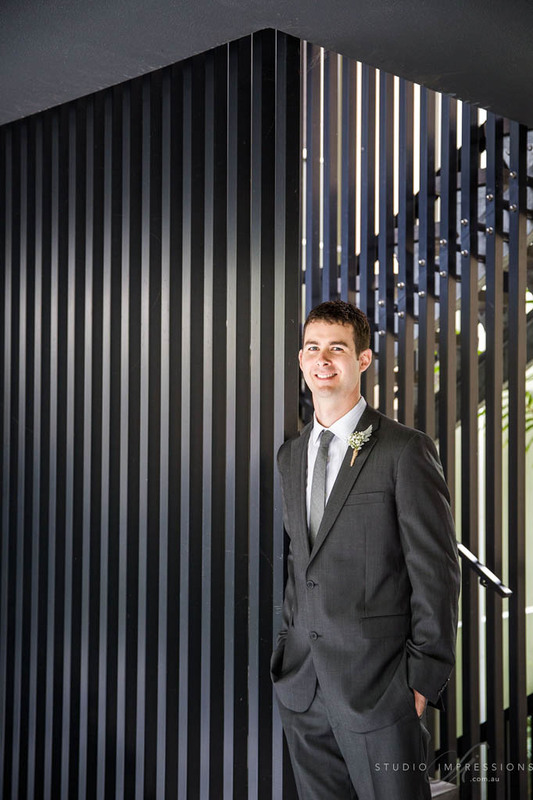 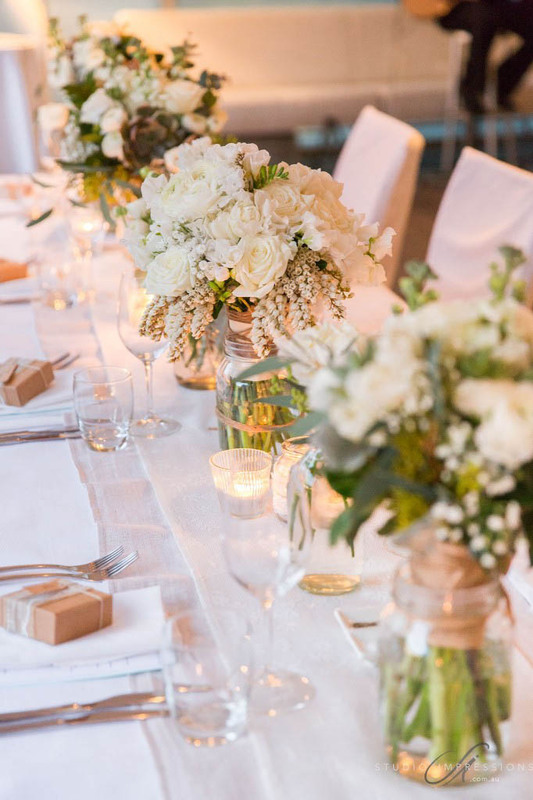 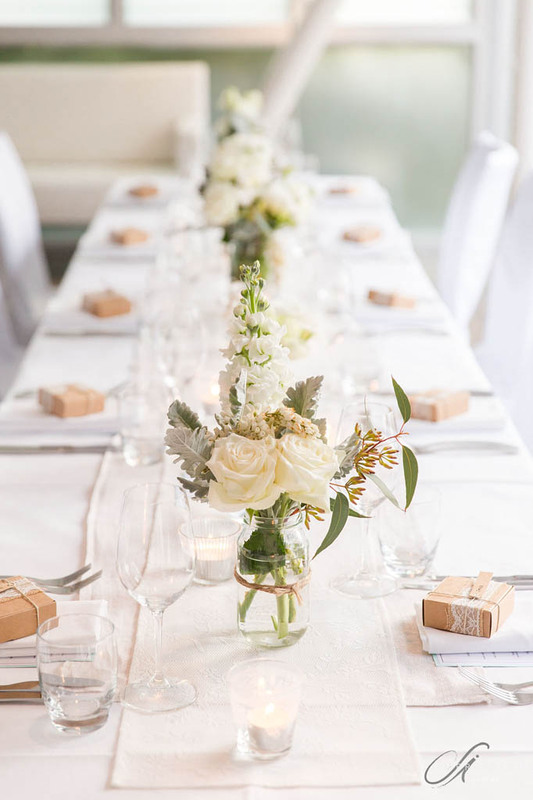 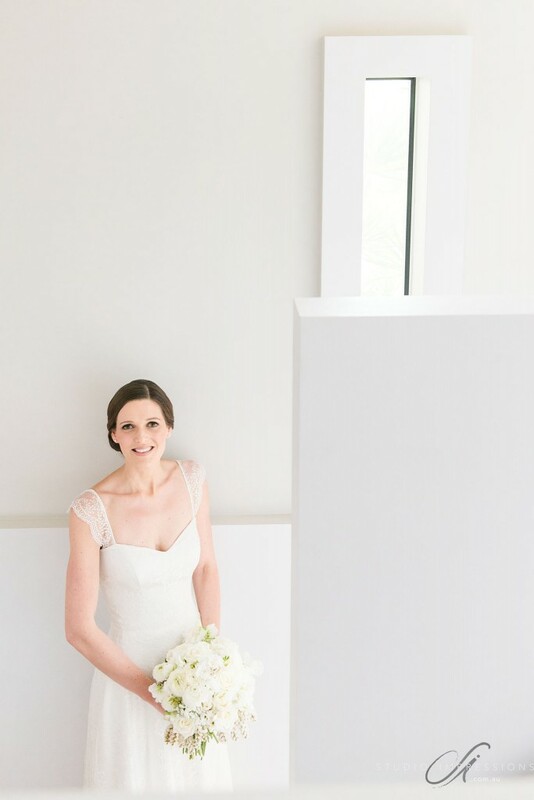 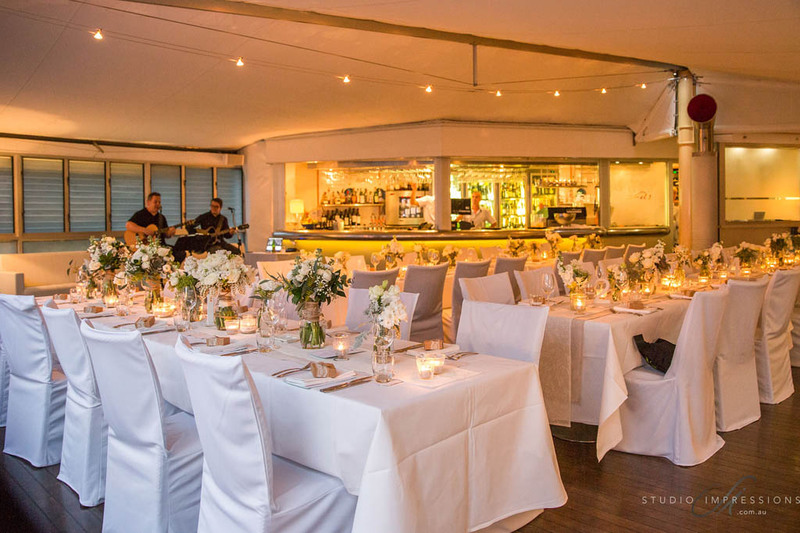 The stunning images of this stylish Sails Noosa wedding were captured by Marcus Bell from Studio Impressions Photography.